Got sweet potatoes? Then why make pie when you can have cake? And why not also ditch the all-purpose flour for something more interesting? As it happens, a combination of rice and oat flours makes the world’s best carrot cake—really—so why shouldn’t the same combo of flours and spices make an amazing sweet potato cake? 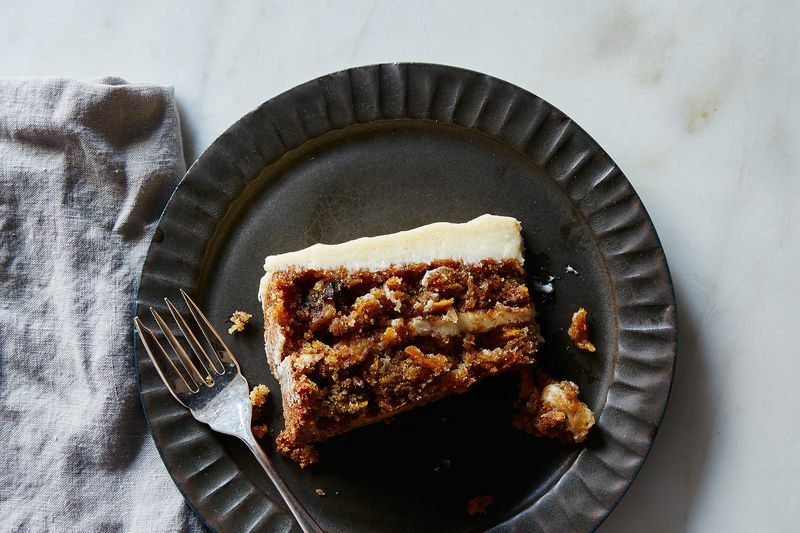 The question was answered when Flavor Flours co-author, Maya Klein, came up with the following encore to her already amazing carrot cake. 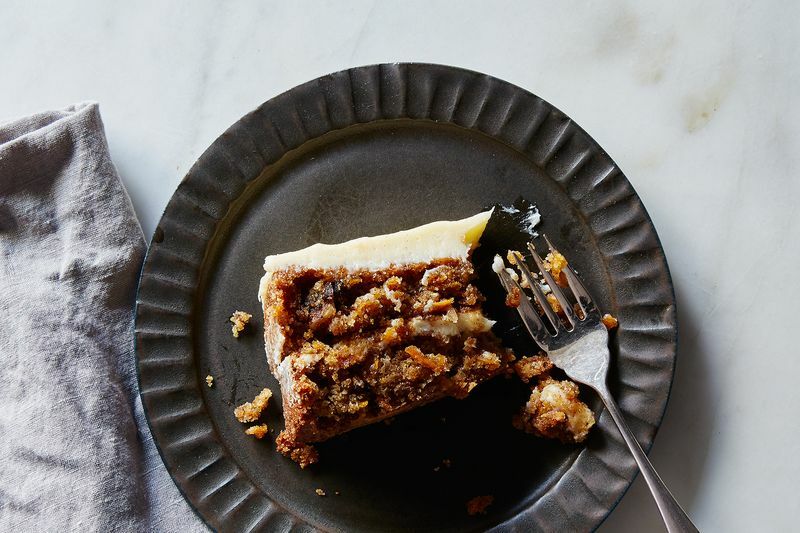 You may never use wheat flour again for either cake agaim—I know I won’t. Jewel or garnet yams work well in this recipe, but there is no reason not to try it with the paler-fleshed sweet potatoes, I just haven’t gotten around to it. I might try pumpkin or squash next, or maybe parsnips. I believe in making a good recipe work as hard and produce as much pleasure as possible. If you're intrigued with the rice flour oat flour combination, there are plenty more recipes that use it in Flavor Flours, including a not-to-be-missed and indispensible chocolate fudge cake. I have the misfortune of not being able to tolerate wheat, rice, olive oil, and I am replacing egg to see if that is a problem. Flax causes me other trouble, how about chia instead of egg? Or would applesauce work better? Flax seed meal is a great substitute for eggs. I would like to try do this recipe, but replace the eggs. Since I don't know the texture of the cake, I can't tell what purpose they serve (leavening, binding, etc.) - could you tell me so that I can come up with an appropriate substitute. It looks like a moist, dense cake from the images, so the eggs may be pretty simple to replace. Please let me know if I am to use orange coloured, purple or white (Hawaiian) Sweet potatoes, these having purple flesh inside and are extremely dense. Each time I cook the white skinned/purple interior sweet potatoes I think how great it would be to use them in baking a cake ... here it is! Looking forward to your reply - I will make the cake this week! Could you use canned pumpkin instead of grated sweet potato? When do you add in the sweet potatoes? You add them with the flour! If I use regular flour would the amount (240 grams) be the same? how about quantity for unbleached whole wheat flour also please?